Badgerdog offers creative writing workshops for adult writers of all age and skill levels in libraries and community centers across Austin. Some classes offer a broad survey of literary genres and written forms, while others focus specifically on fiction, poetry, or nonfiction. Found poetry is all around us, especially in East César Chávez District. Join Badgerdog teaching artist Sean Petrie in a poetry hunt that will explore the history of the business district’s legacy businesses and cultural heritage. By examining everyday experiences, you'll discovery the extraordinary power of poetry all around. You'll leave with a poem shaped by the sights, sounds, and language of the East César Chávez District. This workshop is free and open to the public, age 14 and up. Please RSVP via Eventbrite as space is limited. 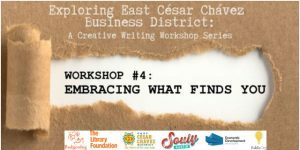 Through this creative writing workshop series, you’ll explore the culture, commerce and community of the East César Chávez Business District. Rooted in place and inspired by the literary legacy of César Chávez, this workshop series seeks to highlight personal stories of community members within the business district. In creating stories, poems, and short interviews that reflect your unique perspective, you become part of a broader community connected to the rich heritage of the business district. You’ll also be invited to submit your writing for publication in the forthcoming East César Chávez Business District Field Guide, which will serve as a resource guide for the business district. 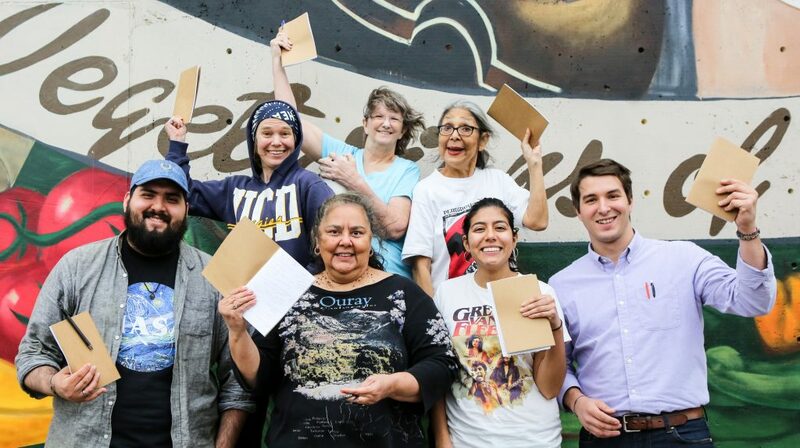 This workshop is a project of the East César Chávez Merchant Association in partnership with The Library Foundation's Badgerdog Creative Writing Program, The City of Austin Economic Department Souly Austin Program, and Public City.